Francisca and her grandsons used to carry water into their bathroom to be able to flush the toilet. Their water system had broken, and they were not able to repair it. When Pastor Carlos from El Sembrador Church learned of their need, his church partnered with HOPE Coffee to share the gospel of Jesus Christ with their family while providing a water system and a better drain for their bathroom. During this last month of July 2017, Abelardo and many members of the church worked each weekend to install a water system for this family and complete a roof for the bathroom. It was completed on August 07, 2017! 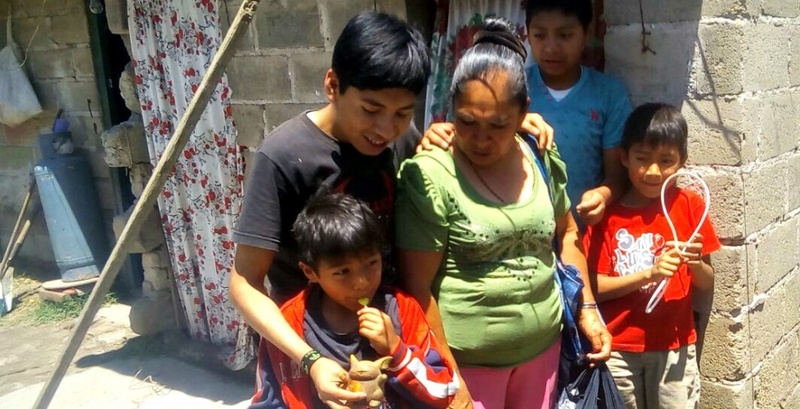 The church members are rejoicing because they not only met a physical need for this family, but they were able to share the gospel several times with Francisca and her grandsons. Pray for Francisca, Toño, Luís, Brandon and Benjamin to believe in Jesus Christ. They have built friendships with several of the teens from El Sembrador and are interested in attending church to hear more about Jesus.